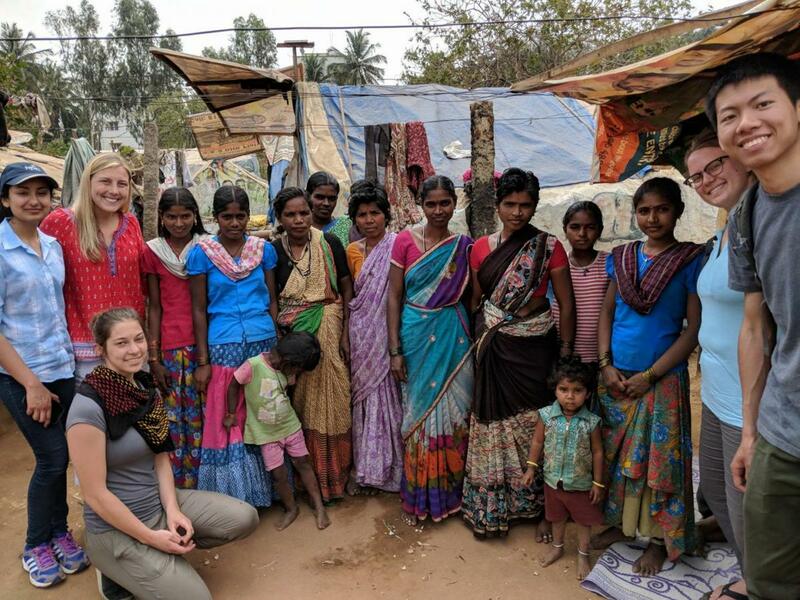 Students in the new India Study Abroad Program visit a slum, the Marathahalli community. A new India Study Abroad Program is currently underway. The students in the inaugural program have officially been in Bangalore, India, for a full month. Led by CEE professor Julian Marshall, the new India Study Abroad Program is part of the Grand Challenges Impact Lab (GCIL), established to address big issues facing humanity by empowering students to create innovative solutions. Students learn about and work on various grand challenges, such as water scarcity, food insecurity, clean energy, pressures of urban growth and more. The program kicked off in winter quarter, with 17 students traveling to India for 10 weeks. The students are from various disciplines, including engineering, health, economics and environmental sciences. GCIL-India offers a hands-on learning laboratory. In addition to lectures, workshops and field visits, the students work in teams to propose and test solutions to problems of their choosing. This year, students are in four teams; the four areas of focus are housing construction in slums; low-cost sensors for water contamination; financial systems for migrant communities; and secondary education in rural areas. Marshall is collaborating with professor Moon Draper (Biology); faculty mentors from engineering, business and health; and local staff and instructors from Bangalore. To follow-along with the students as they share their experiences in India, check out their blog (two students post per day), as well as their Instagram, Facebook and Twitter accounts.